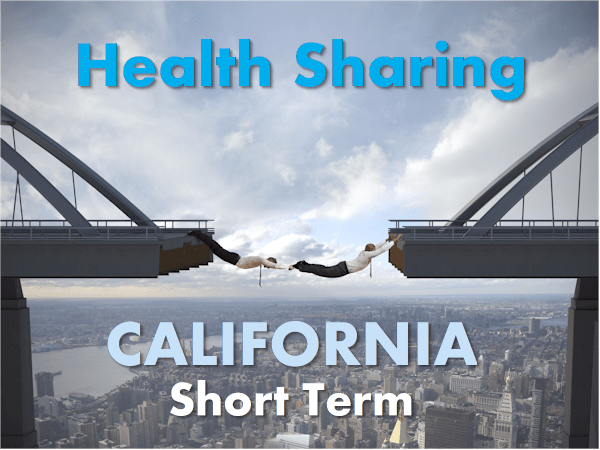 California's last option for short term health - Health sharing plans! Beautiful coasts and mountains. Check. Out of the blue, we received notification that California was banning all short term health plans effective 9/1/2018. The hard date is 12/1/2018 but since the plans had a 90 day window, no new plans would be issued after 9/1. We only had one carrier as it was. The genuine need for short term health plans didn't suddenly go away. We understand if they didn't want to adopt Trump's extension of short term to 364 days but to ban it altogether?? We still have an option in California and it will likely be the dominant short (and longer) term plan for people who can't enroll in Obamacare or can't afford to. 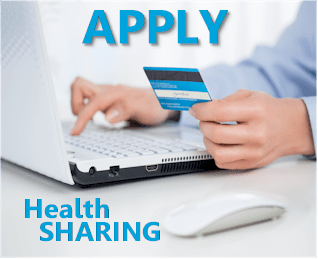 Short term health sharing plans from AlieraCare. Otherwise, let's look at a quick introduction. What exactly is short term health in California. Short term plans cover more catastrophic needs for a fixed period of time. There are as many uses for short term as there are people! The main point to understand is that short term is more catastrophic. It's there to cover the bigger bills. If those services might be needed, it's probably best to get a standard plan. You can read more on short term versus Obamacare plans here. So...what about our new option...AlieraCare?? AlieraCare is a health sharing plan. You can read all about health sharing here. They work like memberships but we like AlieraCare the most of those available on the market. In California, it's not really a question if you need short term coverage. They're the only ones left!! We like AlieraCare since they have a reserve which is similar to what insurance companies have. 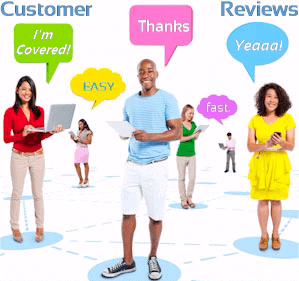 You can read more on why they are best health sharing company here. With a strong BBB rating and significant growth, we feel confident in their short term health plan. Let's look at that piece now. How do their InterimCare plans work? AlieraCare had many different types of plans. One of them is called the InterimCare plan. This functions as their health sharing plan for short term health needs. It's very comparable in design to what we had before with IHC short term plans. It's actually broader and more flexible! A few notes when comparing the plans. You have a choice of MSRA. This is the AlieraCare equivalent of a deductible. We generally recommend going with a higher MSRA (keep rates down) but with a richer plan type. This has been the most popular approach. This is their short term option. The InterimCare plan is available from 1 to 11 months. This is actually more flexible than the 90 days we had before with IHC. If you know you need 6 months or less, you would select that to get the best rate. The rates shown through the quote below are the best possible AlieraCare rates available anywhere! There is no cost for our assistance as a licensed AlieraCare agent. That's a nice advantage that AlieraCare short term plans have. There is an exemption from the Federal penalty for not having qualified ACA health insurance. The short term plans work very similarly. 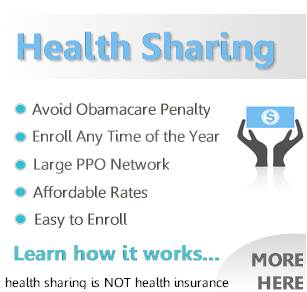 The differences are with health sharing versus Obamacare health insurance. We wrote extensively on how to compare these two here. 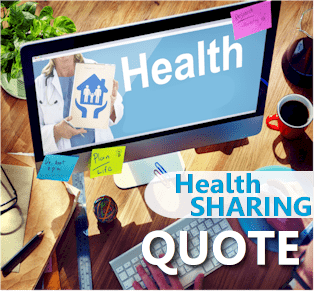 Health sharing is not health insurance so we want to pick the very best health sharing company available. They are also last short term health coverage option available in California! AlieraCare short term plans can start midnight following online enrollment. They do not decline people based on health. Instead, the short term plans have waiting periods for pre-existing conditions. This is comparable to the old IHC short term plans except IHC could decline people AND they had waiting periods. That's a plus for AlieraCare short term plans. You can cancel these short term plans month to month! It's very easy to quote and apply for short term plans by AlieraCare.